Please Save These Dates for Upcoming 2019 ACI Events! ACI's 2019 Benefit Reception on Friday, April 12, at the University Club of Chicago's Cathedral Room, will raise funds for ACI scholarships, for ACI programs aimed at improving college graduation rates among low-income, first-generation and students of color, and for career development initiatives serving students at ACI’s 27 member institutions. Keynote speaker is Michael W. Frerichs, Illinois state treasurer. Frerichs has served as state treasurer since 2015 and was previously a member of the Illinois Senate, representing Champaign and Vermilion counties. As a senator, he chaired the Higher Education Committee. The event will be hosted by Eureka College President Jamel SC Wright, who is also ACI president. Tickets go on sale Feb. 21, for $200 each. The reception features live music, an open bar and generous hors d’oeuvres. The registration deadline is April 5, 2019. Major sponsors already have joined the effort. Gallagher and Husch Blackwell are Patron Sponsors and Don Campbell and Robbins Schwartz are Partner Sponsors. Additional sponsorship opportunities are available, ranging from $5,000 to $25,000. Each offers excellent benefits, including tickets to the event and greetings in the event program. Individuals and companies can purchase event program greetings for $500 to $2,500. The deadline for sponsorships and greetings is March 26, 2019. "ACI receives generous support year-round from foundations and corporate giving programs that believe in our mission," said ACI Executive Director Mick Weltman. 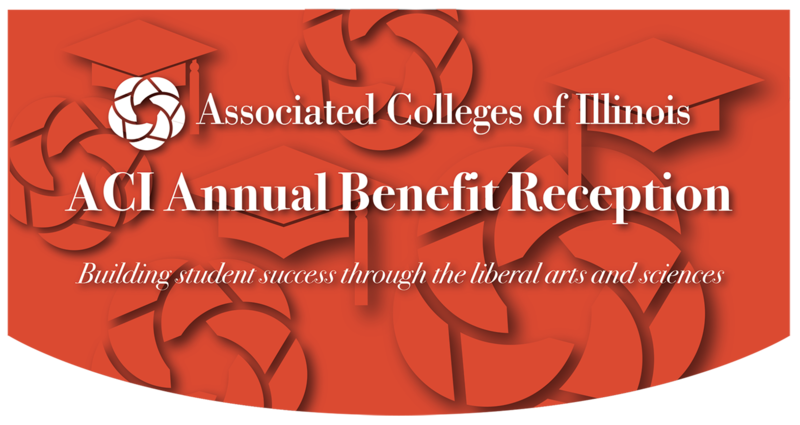 "ACI’s annual Benefit Reception provides a great opportunity for people and companies from the community to support our efforts to make independent liberal education available to diverse students and to develop the talent needed to drive Illinois’ future economy." For additional information or to arrange sponsorships or greetings, contact Mick Weltman at mweltman@acifund.org, or call 312-263-2391, ext. 0523. "You may be able to help a student get out of a bad situation. You're also helping that student be able to be part of the community and be part of college life." Watch Tini tell her story! Tini Wright-Bell thought that after high school she would go far away to college, perhaps to a school in California. But her grandmother heard an ad for Judson University in Elgin, Illinois, while listening to Pandora, the online music service, and suggested she check it out. "We came to a preview day, and the rest is history, says Wright-Bell, a junior psychology major. "I came here, and I love it." Wright-Bell, from Glendale Heights, Illinois, says for the past 13 years, her mother has been missing, a reason why she studies psychology. "I kind of wanted to help other children who might feel alone like in my situation, not having a parent. I wanted to be sure to let them know there is someone there that cares about them," she says, adding she has a specific interest in child advocacy. To supplement her education, Wright-Bell has interned at the Elgin Boys and Girls Club, which she describes as a safe place for students after school, providing meals and homework help. She is also a member of the university's Spirit Squad. Wright-Bell's ACI General Scholarship has made it possible for her to reside on campus, a big help, she says. "Last year, I was a commuter. That commute was very hectic in the mornings when I had to drive all the way back to Judson every single morning. It help me get back on campus and be part of the culture again," Wright-Bell says. She is also grateful for donors that provided funds for the scholarship. "You may be able to help a student get out of a bad situation," she says of donors. "You're also helping that student be able to be part of the community and be part of college life." "I am extremely grateful for all of the scholarships I've been able to receive over the years. In the future, I hope to be able to give back to college students as well, because it's absolutely helped me be able to be here." Watch Kelsey tell her story! Now in her senior year at McKendree University, Lebanon, Kelsey Schultz is working toward a classroom career as an elementary school teacher. "When I was 12, I started tutoring and volunteering with kids in the second-grade level," she says. "I fell in love with spending time with them. I related with them well, especially when I was 12, but now at 22, I still feel the same connection to them that I had then." Schultz commutes to McKendree from Bellville and is an elementary education major. "When I decided I wanted to go into teaching, I looked at the different teaching universities in the area, within a 5-hour distance. McKendree ranked very high," Schultz says. In addition, Schultz is seeking a special education endorsement, which she says will help her serve students better because students with special needs are often in general education classrooms. Schultz's ACI scholarship through the A. Montgomery Ward Foundation is helpful, she says. "With tuition at McKendree being $40,000 a year, it's impossible to go without any sort of aid," she says. "So, the scholarship from Montgomery Ward has helped in lowering the total of my tuition over the course of my four years." "I am extremely grateful for all of the scholarships I've been able to receive over the years," she adds. "In the future, I hope to be able to give back to college students as well, because it's absolutely helped me be able to be here." Schultz also has a scholarship from the Lyn Huxford Center for Community Service and performs 30 hours of community service, including tutoring and recreation with children every semester. "I led a program at the Christian Activity Center for the past two years where we brought kids from East Saint Louis to Lebanon to provide them with a college experience to make them want to come back and further their education," she says. And Schultz volunteers to spend time with adults with special needs at Trinity Services in nearby Mascoutah and works at the university library. Olivet Nazarene University (ONU), a Christian university in Bourbonnais, Illinois, offers a distinctive academic and student experience that separates it from other similar schools. It is also the beneficiary of nearly two decades of steady growth of its student body. Currently at 5,002 undergraduate and graduate students, the university's longtime president, Dr. John C. Bowling, believes there are three reasons why ONU continues to grow: its emphasis on personal development, professional readiness and preparing students for lives of service. "We exist to provide high-quality academic instruction, number one for personal development," Bowling says. "That reflects the great tradition of liberal arts. Second is professional readiness. We do recognize that a student needs to get a job after school, and we need to help them get ready." Third, he says, is developing students for lives of service so they can "experience the joy, the self-satisfaction of serving." Delivering on these commitments is important for success. ACI’s 27 member colleges and universities contribute more than $3.5 billion to the Illinois economy and put more than 34,000 employees into the state’s workforce. The member schools, which enroll more than 67,000 students, also provide in excess of $856 million in financial aid. That data and more, compiled by ACI, is now available on the organization’s website at its Member School Data page. "This information demonstrates the important role of ACI’s 27 members in the state of Illinois and the value of a liberal arts and sciences education," said Mick Weltman, ACI executive director. "The data show these colleges and universities have a critical role in educating students and preparing them for careers in the today’s Illinois economy and in the future." Weltman encouraged viewers to share the information with individuals, families, school personnel, human resources professionals, business contacts and others. ACI plans to provide updated data annually for member colleges and universities. The data was compiled over several months by ACI’s Eli O’Sullivan Kurtz using publicly available sources. 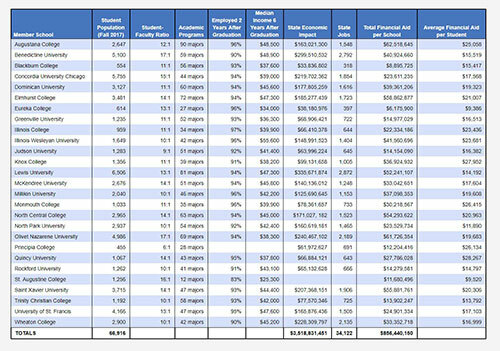 Sources included member schools’ own websites, plus data from the Federation of Independent Colleges and Universities’ Economic Input Calculator and the National Center for Education Statistics’ Integrated Postsecondary Education Data System. Webinars will introduce ACI career services professionals and corporate hiring managers to ACI’s Micro-Internships Initiative, a valuable partnership with Parker Dewey. The initiative promotes successful college-to-career transitions for students at ACI member institutions, while helping employers build a pipeline of qualified applicants for full-time jobs. 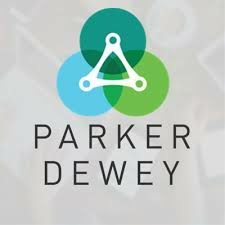 Parker Dewey’s online platform matches students with micro-internships at businesses and not-for-profits. Micro-internships are short-term, paid, professional assignments that take place throughout the year. Typical assignments range from 5 to 40 hours of work and last only a few weeks. Because they are brief and available year-round, students can complete as few one or two or as many as dozens of these resume-building micro-internships assignments during their college careers. Parker Dewey’s micro-internship platform makes it easy for companies, schools and students to benefit from the program, without encountering administrative barriers. The webinars are designed to encourage participation across a broad range of ACI member colleges and universities and employers. For more information about ACI’s Micro-Internship Initiative, contact Mick Weltman at mweltman@acifund.org. The Quincy University Board of Trustees announced the appointment of Dr. Brian McGee as the university’s 24th president. McGee, who will begin work July 1, 2019, is currently serving as provost and executive vice president for academic affairs at the College of Charleston in South Carolina. McGee will succeed Phil Conover, who has been serving as president since May 2017. McGee was chosen from a field of 67 candidates for president's position, according to a university news release. "I am honored and thrilled to have been chosen as the next president of Quincy University, and I am humbled by the confidence the Quincy University Board of Trustees has placed in me. Joining QU and the Quincy community will be the greatest privilege of my career,” said McGee. Before he was provost, McGee worked as Charleston’s chief of staff and senior vice president of executive administration, and as a tenured professor and chair of Charleston’s department of communication, one of its largest academic units. Prior to joining the College of Charleston, McGee was the chair of the School of Communication at Spalding University, Louisville, Kentucky. He also worked at Texas Tech University, Lubbock, and Northeast Louisiana University, Monroe (now University of Louisiana Monroe). McGee holds a B.S. and M.S. in speech communication from Southern Illinois University, Carbondale, and a Ph.D. in communication from The Ohio State University, Columbus. Also this month, Dr. Julie Murray-Jensen began her work as president of Blackburn College, Carlinville, succeeding Dr. John Comerford. ACI welcomed new corporate members this month to the ACI Board of Trustees. The ACI Executive Committee approved the nominations of Barry C. Mastin, Jr., center, and Colleen Spector, right. Mastin is construction underwriting consultant for Liberty Mutual Insurance Co., Chicago. Spector is assistant director of sales at Hilton Worldwide, Chicago. In addition, Raymond E. Krouse, Jr., left, also joined the board. Krouse is a partner on Sikich LLP's not-for-profit services team, based in Naperville, Illinois. Krouse succeeded Richard Lynch as a board member, who is also with Sikich, LLP. People who donate substantial financial gifts to colleges often feel a sense of accomplishment and joy when they have a chance to provide financial support to college students, said Dr. Troy D. Hammond, left, president of North Central College, Naperville. Hammond spoke Dec. 6, 2018, to the ACI Wealth Advisors Breakfast, attended by more than 30 people at the University Club of Chicago. As a college president, Hammond himself is involved in fundraising. He urged the advisors to encourage their clients to provide endowment funds for ACI scholarships. "You, as a wealth advisor, can be in the business of bringing joy to your clients by helping them see the possibility of making major gifts," he said. ACI, with 27 member colleges and universities, was designed as a collaborative to raise funds that can help students at all 27 schools, Hammond said. "ACI is the best, well-positioned institution in Illinois to impact these students' lives in getting their college degrees," he said, adding the organization raises funds and offers programs to assist member institutions and their students. ACI's network of private, independent colleges and universities serves a significant number of first-generation, low-income students, he said. "We graduate students from disadvantaged backgrounds at a 20 percent higher rate than public institutions," Hammond said. "It's because of our mission, our vision, the way we teach – with small classes, with faculty who have chosen with their careers to focus on teaching and mentoring as opposed to research." Hammond told the audience that he, too, is a graduate of Milligan College, a small, liberal arts and sciences college in Tennessee. That experience was life changing, he said. The wealth advisors also heard featured speaker Carolyn Leonard, right, CEO and co-founder, DyMynd and DyMynd Angels, Chicago. Leonard was one of the first women to become a floor trader at the Chicago Board Options Exchange in the 1970s. She described the hurdles she faced in becoming a floor trader and said her company now educates young people, especially women, about building wealth for themselves and their families. "We help students go from a debt or deficit mindset to a wealth-building mindset," she said. "We want both men and women equally to understand the power of their purse and be able to grow their wealth so they can live out their dreams and pass it on to people they care about." Paycor surveyed nearly 2,000 HR leaders and found that less than 10 percent spend their time proving the value of HR to executives. No wonder 66 percent of CFOs say their HR departments have an "average or worse than average" impact on the organization. If this sounds familiar, we want to help you change both the reality and perception of HR in your organization. Consider sup porting ACI's mission with tax-deductible gifts! Your financial gifts make a difference for many underserved college students attending ACI-affiliated institutions across Illinois. To learn how, watch these students tell their stories, including how ACI scholarships make a difference in their lives. You may designate your gift for scholarships for first-generation, low-income college students, or for support of the ACI Peer Mentoring Program, which helps first-generation students through the critical first year in college on the way to earning a degree. You can also provide ACI Named Scholarships to deserving students in honor of individuals, businesses or organization. ACI welcomes online gifts at any time. For more information about giving to ACI, contact Mick Weltman, ACI executive director, at 312-263-2391, ext. 0523 or write to mweltman@acifund.org. Financial gifts are tax deductible as provided by law. Friday, April 12, 2019: ACI Annual Benefit Reception, University Club of Chicago, 76 E. Monroe St., Chicago. Monday, June 3, 2019: ACI Spring Conference, Monmouth College, Monmouth. For Advancement, Finance and Student Engagement professionals at ACI member colleges and universities. Thursday, June 13, 2019: Summer Get-Together, Sponsored jointly by Augustana College, Rock Island, and ACI. For communications, marketing and public relations professionals. Friday, Oct. 4, 2019: ACI Career and Internship Fair, North Central College, 30 N. Brainard St., Naperville.